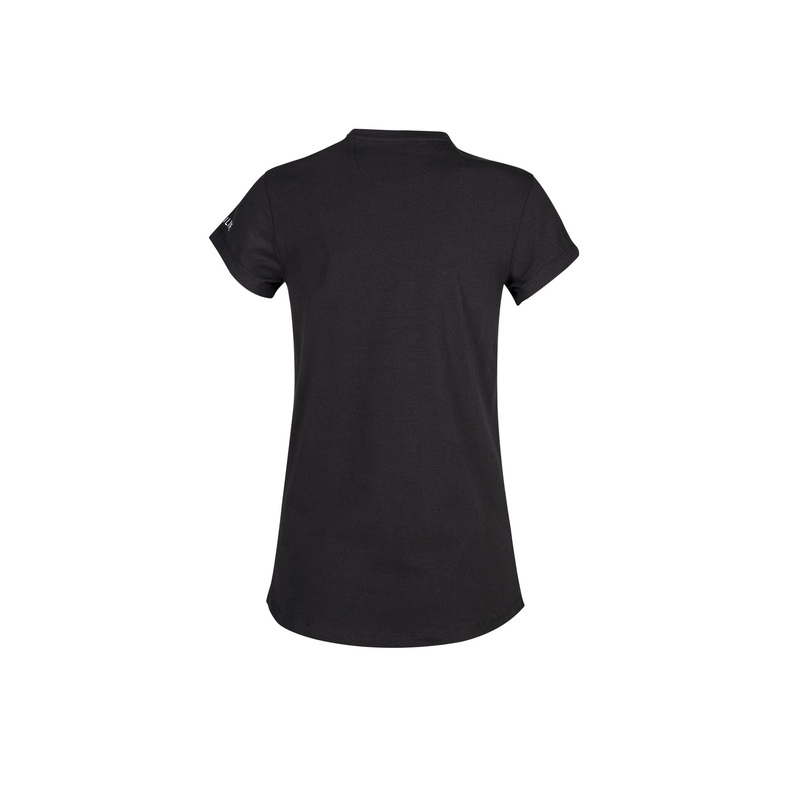 Women's t-shirt with short sleeve. 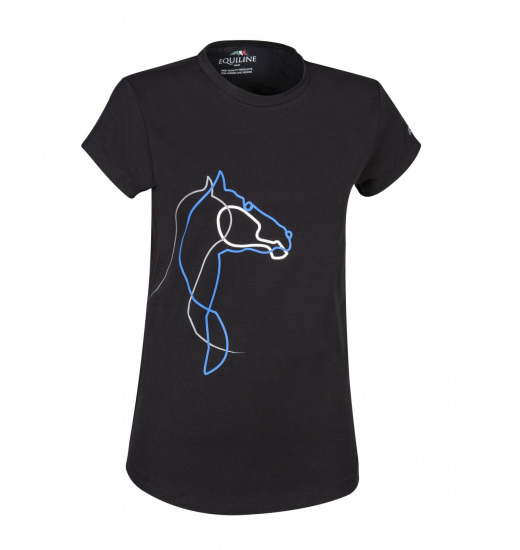 It is made of the highest quality cotton jersey that is comfortable and breathable. 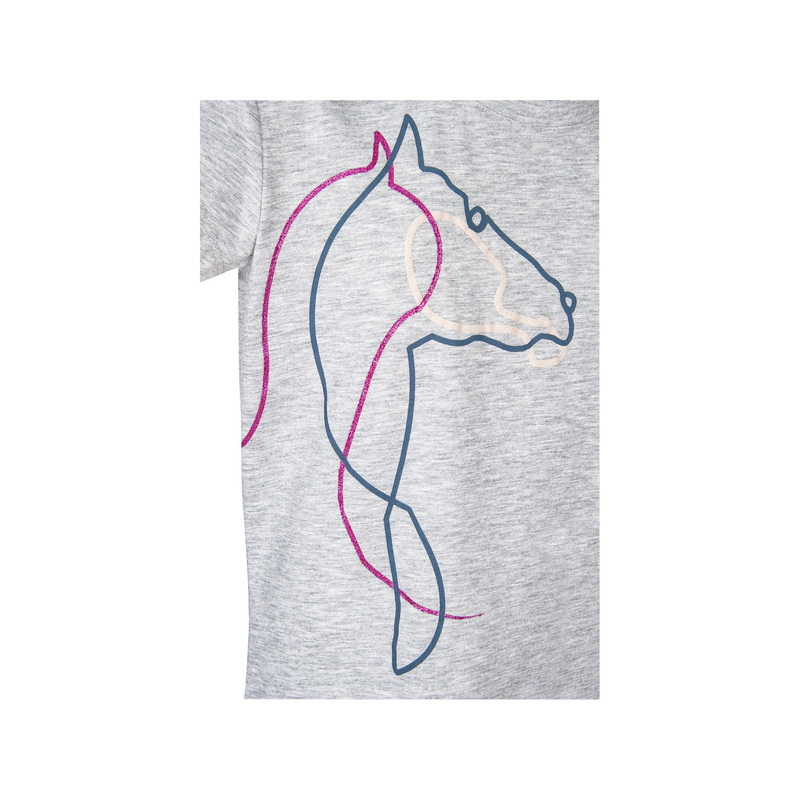 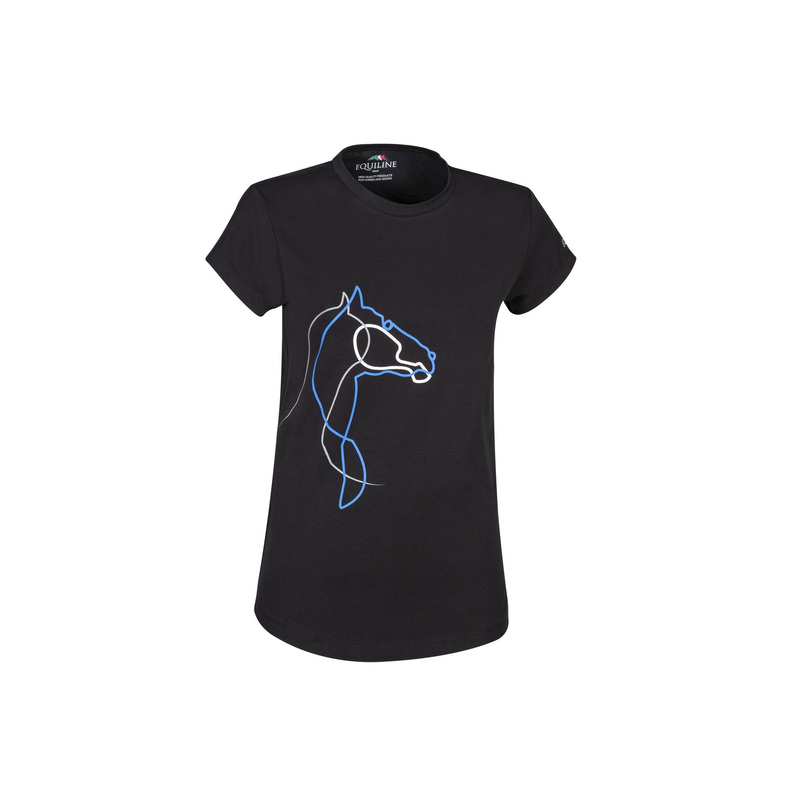 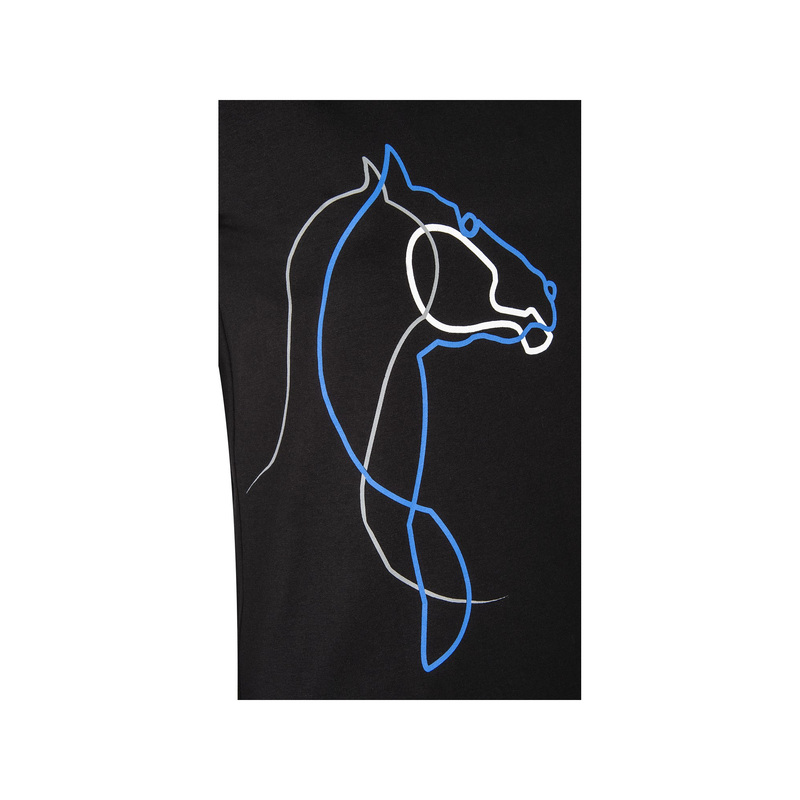 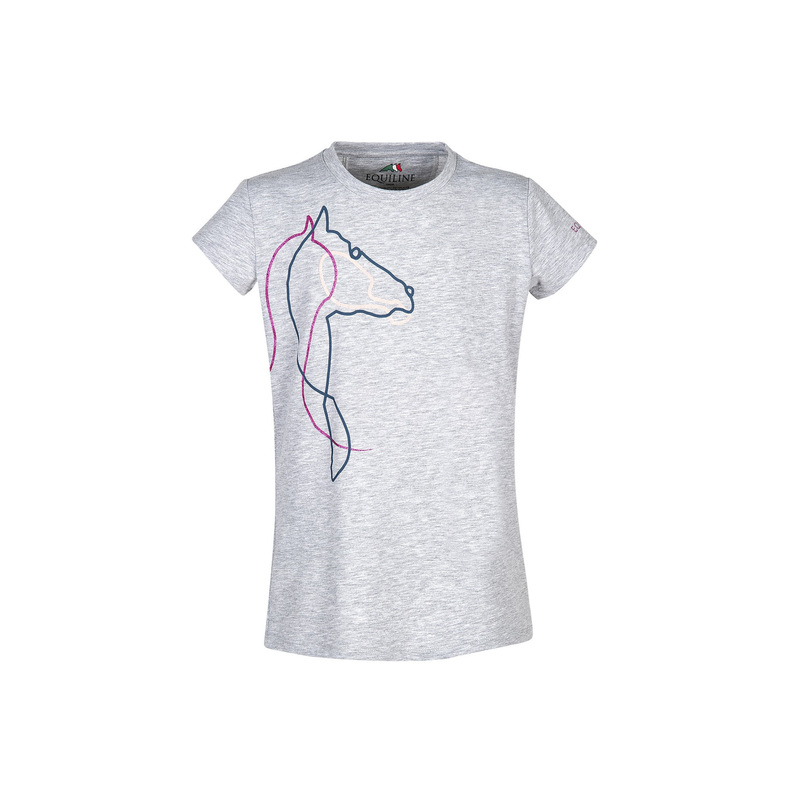 This t-shirt is decorated with a unique graphic with a horse's silhouette. 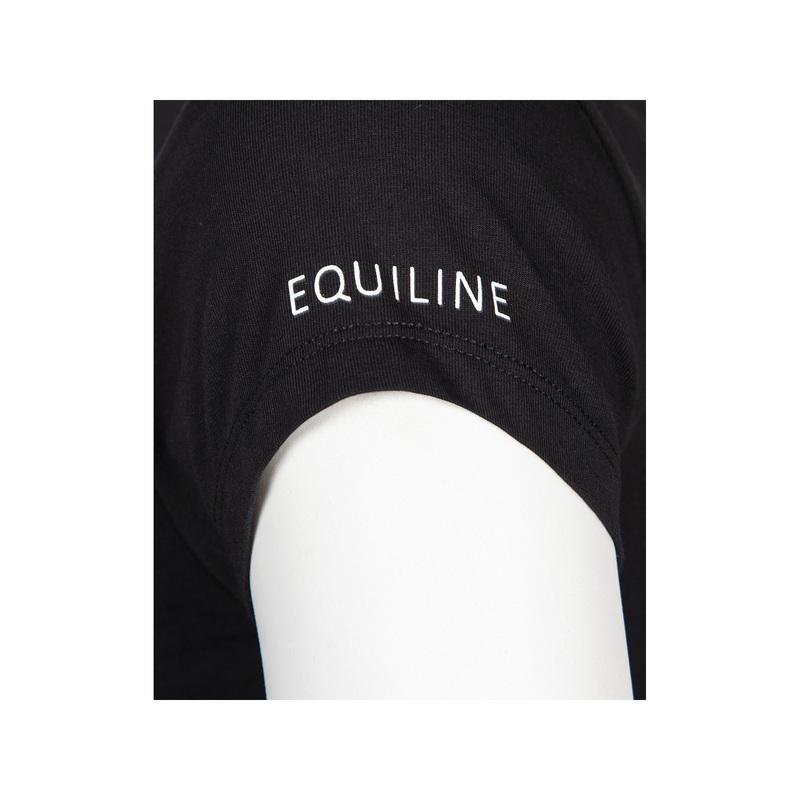 Please take a look at the size chart before ordering. 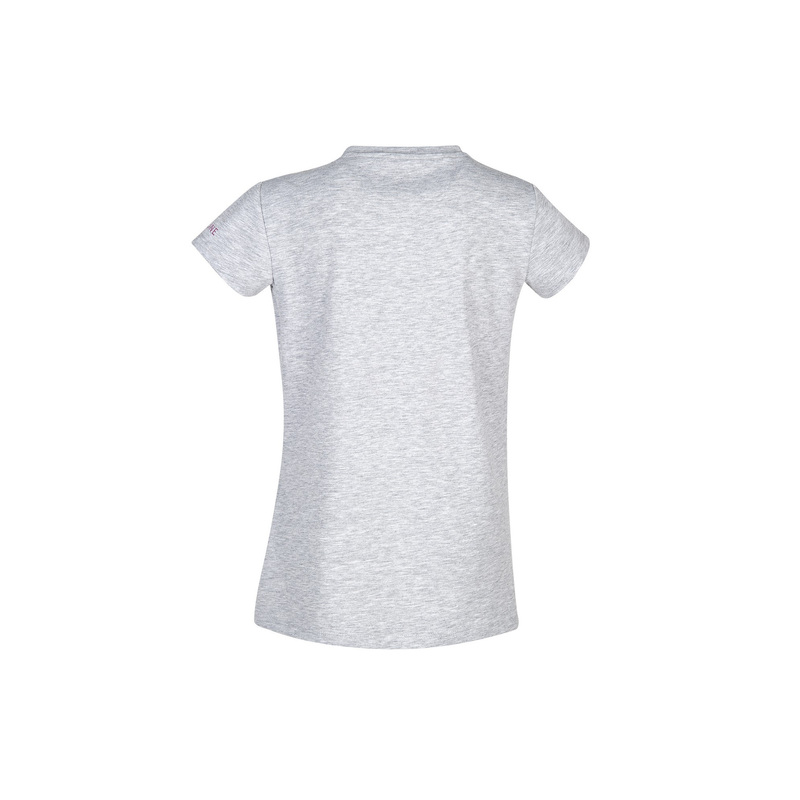 Italian sizes are oversized, for example: Italian 38 is German 34 and Italian 44 is German 40.